Here is another easy recipe that I like to cook on the weekends so we have left-overs during the week. This is also a great “what do I have left in the fridge / cupboards that I can throw together and make a meal” recipe. 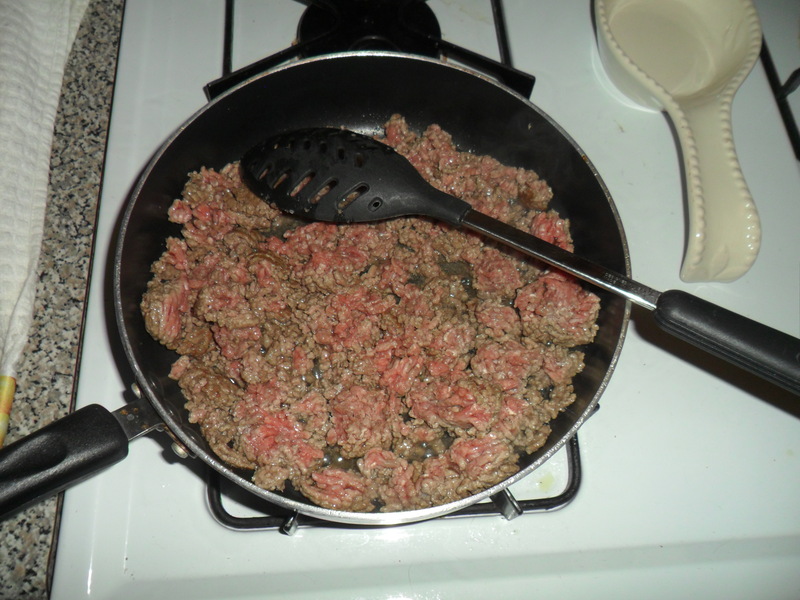 First brown the ground beef – or ground turkey – whatever you have in the freezer. 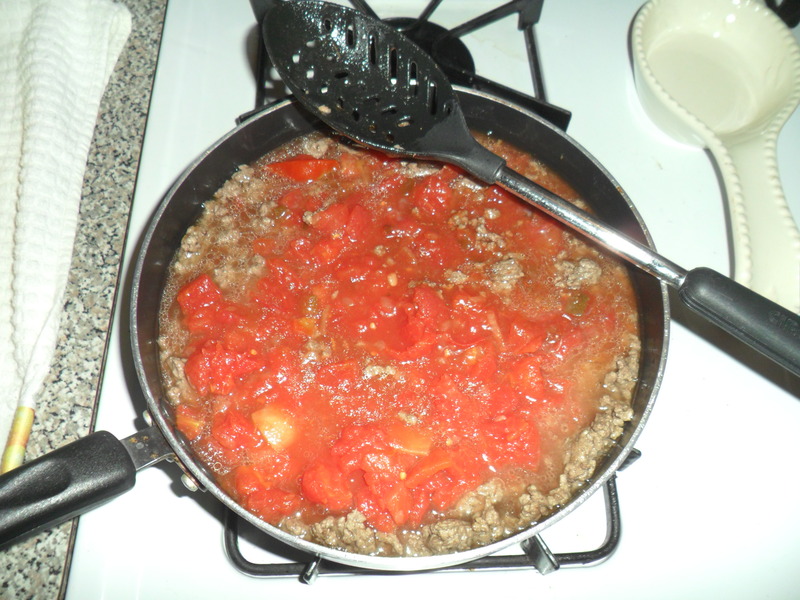 Once the meat is cooked and there is no pink, add salsa, tomato sauce and water. Again – I’ll add any tomato based item I have in the cupboard. Diced, sauce, any brand. Same disclaimer as always: I am not a chef! Heat this until it boils. 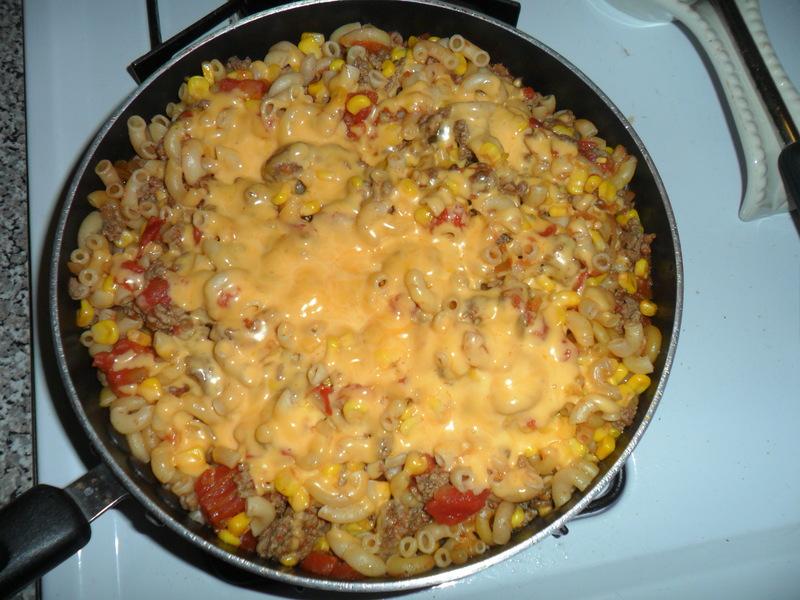 Once boiling, add corn and elbow macaroni. 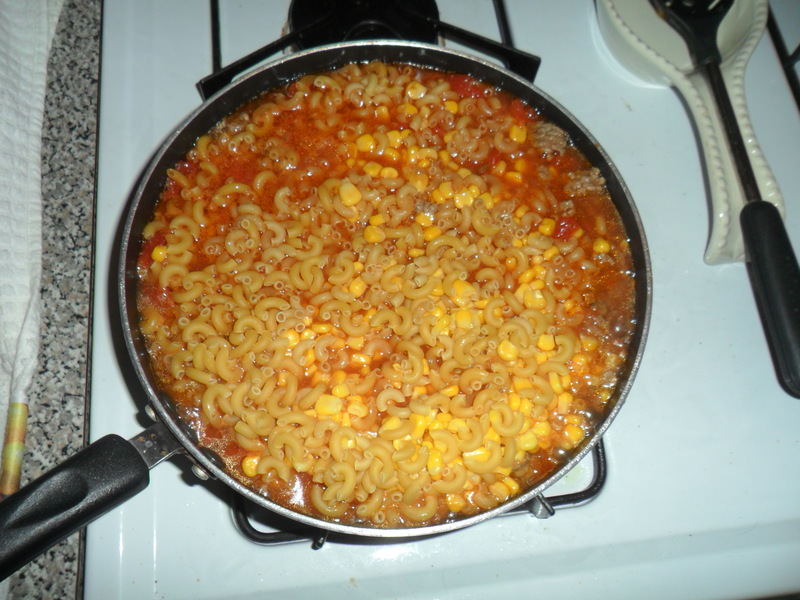 The macaroni should not be cooked. Reduce heat and cover until macaroni is soft. Weight Watchers info: serving size = 1/12 of the whole recipe. 1 serving = 4.5 Weight Watchers Plus points. Variations: Use chili powder or cayenne pepper when browning the ground beef and add kidney beans and black beans instead or corn and macaroni for a chili option. No elbow macaronis, but you do have a box of mac and cheese? Make the mac and cheese according to the directions and add at the end instead of shredded cheese. Do you have any one skillet meals that you love to make? Leave a comment and tell me your favorites. You never know – you might make the 200th comment and win a great prize!